PASADENA, CA--(Marketwired - Dec 2, 2014) - Los Angeles Family Law Attorney Mark Baer advocates mediation rather than litigation to those involved in divorce, paternity or other family law-related matters. "Litigation attorneys tend to resolve matters in an adversarial manner, regardless of the field of law," states Attorney Baer. "Cases involving family matters should not be handled in the same way that attorneys would handle a criminal case, a medical malpractice case or a toxic tort case. Litigation tends to exacerbate the level of conflict, which tends to increase the amount of time and expense required to resolve the matter. However, mediation can decrease the conflict while resolving legal and other issues, simultaneously addressing emotions and feelings." Attorney Baer says using litigation in family law is like involving ground troops, as a first resort, when countries have international issues; similarly, using judges and arbitrators would be like choosing the nuclear option. "When the U.S. is having a dispute with another country, it initially attempts to resolve the issue through diplomatic efforts. If diplomacy doesn't work, it might try economic sanctions of varying levels. If that doesn't work, it may use drones to drop bombs. If that doesn't work, it may involve ground troops. The final option, if absolutely necessary, would be to drop a nuclear bomb, something it has not done since 1945. But if our country is not getting along with Iran, Russia, or any other country, we don't start resolving the conflict with ground troops or nuclear weapons; we try diplomacy in an effort to resolve it," he says. As with international disputes, Attorney Baer says family law matters should start with conflict resolution through diplomatic efforts by way of mediation. He points out that the best mediators are those who are well versed in evaluative, facilitative and transformative mediation and can seamlessly move from one approach to the next as the need arises. Attorney Baer explains the different types of mediation, available, in his recent, well-received article for the Huffington Post entitled "How To Select The Best Mediator Is a Must Read for Everyone." "What makes a really exceptional mediator is the ability to capture the essence of a conflict and move people to a place of empathy and compassion, which is the role of facilitative mediators," says Mr. Baer. "Litigators are warriors so these skills are inconsistent with their role. In fact, it is unlikely that they even have such skills. "Furthermore, children, step-children, grandchildren, and others frequently suffer the collateral damage of their parents' decision to handle their differences in an adversarial manner. These individuals, and potentially their offspring, will carry forth the fall-out from the adversarial way their parents' relationship ends. However, if mediation is used right from the start, this destruction can be averted." 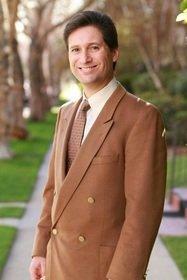 Mark B. Baer is a Family Law attorney, mediator, and collaborative law practitioner in Pasadena, CA. Trained in all three mediation approaches, Mr. Baer spends an estimated 50% of his time as a mediator working with people seeking premarital agreements, post marital agreements, resolving issues that are interfering with their marriage, mediating all types of issues that arise when marriages dissolve, and issues pertaining to children as a result of the break-up of non-marital relationships. Attorney Baer has been named a "Southern California Super Lawyer" since 2012, is included among The National Advocates Top 100 Lawyers, and has a blog column in the Huffington Post where he regularly discusses issues pertaining to Family Law and Mediation. For more information about Attorney Mark Baer, please visit: www.markbaeresq.com or www.huffingtonpost.com/mark-baer.